Earlier this Summer a group of CCR skaters took place in Race for Life and managed to raise just over £2500 for their efforts. Anyone who came to our closing game of the season will know that the proceeds from this bout were also donated to the cause. Verry Cherry told us how the day went below. “It’s a really sad fact that cancer touches so many, if not all of us at some point. It could be a family member, a friend or even a famous person we look up to, either way no one wants it around. 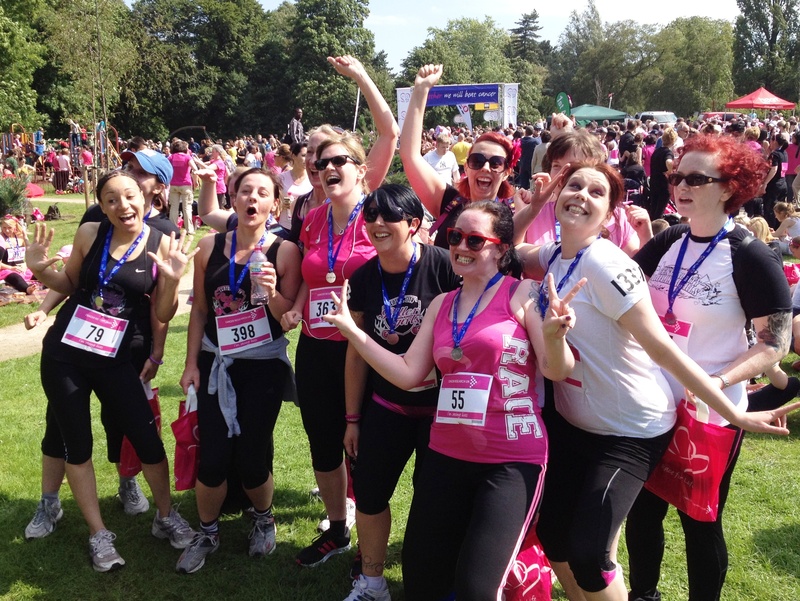 At CCR we take our health and fitness pretty seriously, but for me personally running is the one thing I hate doing so when I saw the adverts for Race for Life I thought what a great raise money for Cancer Research, pushing myself to do something I’m not keen on in exchange for donations? Knowing my CCR team mates wouldn’t want to miss this opportunity, as some had taken part before, we set the group up, got on the treadmill and hounded people for the dosh. Gratefully we started receiving donations and hit a major high when CCR agreed that at our last game of the season the profits raised would be given to our group. So thank you to everyone who came to the bout in June and made a donation. On the day itself the sun came out as we all sun blocked up ready to go, some of us running hoping to set a new personal best, others taking a gentle stroll around the park. The day had a fantastic atmosphere, full of team spirit and support – finished off with a well earned pint! As well as raising money for charity, CCR skaters have been training hard during the off season, adjusting to some new changes to their season. Alongside this many of our referees and NSO’s have been helping at various bouts and tournaments throughout the continent. At the Men’s European Derby Championships in July CCR had representatives on Referee and NSO crews as well as fielding some players for the Crash Test Brummies. 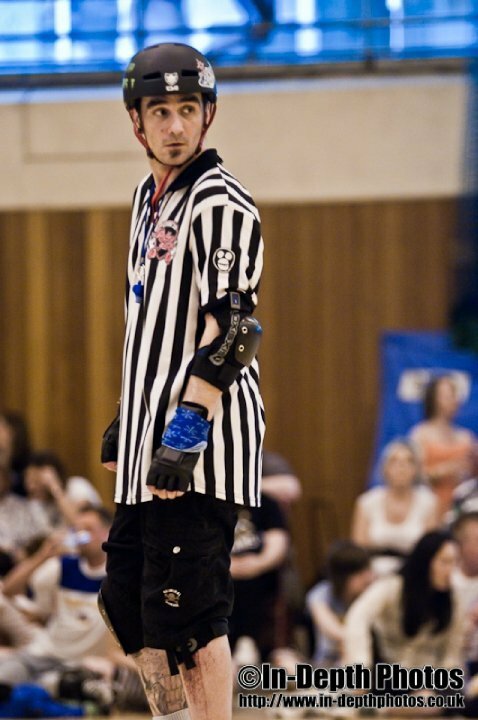 You may have also seen CCR referees in some of the fixtures played by Team USA in their whistle stop tour or Europe last weekend. It isn’t just our skaters who have been busy this off season. 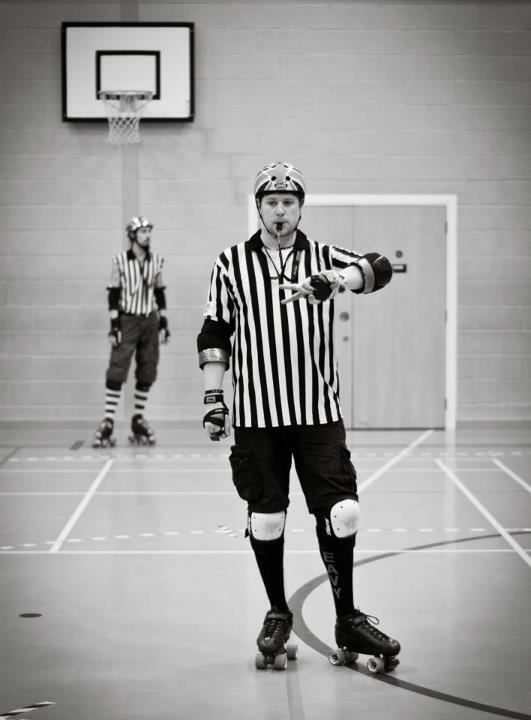 CCR are bursting with pride to announce that two of their Referees have been granted Level 2 WFTDA certification. Every league values their referees (certified or not) but sanctioned referees are essential for some competitions to take place, and we look forward to seeing our refs back in action when CCR’s season starts on September 8th. The season opener looks set to be a great day, you can find out more information about the match up in our previous article or at the facebook event and buy tickets here. For the latest up to date CCR news you can also follow CCR on twitter @the_ccr or on facebook.